Super Teen, our favorite superhero, is back with more laughs, more adventure, and more action. This time, due to turmoil in another world, she takes an unexpected journey. As the situation requires backup, a couple of unlikely helpers are sent her way, and Lia once again learns the value of teamwork. As well, a totally unexpected romance develops, and this catches not only Lia by surprise but everyone else as well. The story leads to a romantic ending where Lia finally chooses between Jason, her BFF, and Adam, the handsome superhero. This love battle is one that Lia decides to face once and for all. She is also forced to confront her biggest challenge yet, the Guardian of the Universe. Will Lia win out in the end... or not? You’ll need to read this final addition to the series to discover the outcome. 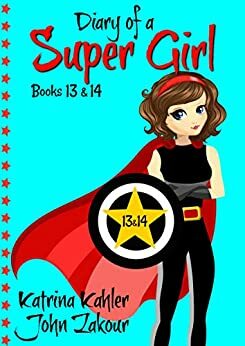 It's another great book for girls 9 - 12 as well as anyone who loves a fun superhero story.